HarmonyChoir is a group of singers, some of whom have experience with mental health symptoms. We were brought together to enjoy singing, enjoy each other’s company, and reduce the stigma that is so often associated with mental illness in our society. As a not-for profit organisation, we support various local and national charities including Health in Mind, SAMH, Carr Gomm, SANDS, Bethany Trust, Bravehound, MQ and Place2Be. To date we have helped raise £4,900. We sang at the Opening Ceremony of the AIESEP International Conference, and afterwards Nicola Carse commented “Thank you for coming to the event we really enjoyed your singing, I could tell the audience did too! We really appreciate you all being able to come along”. 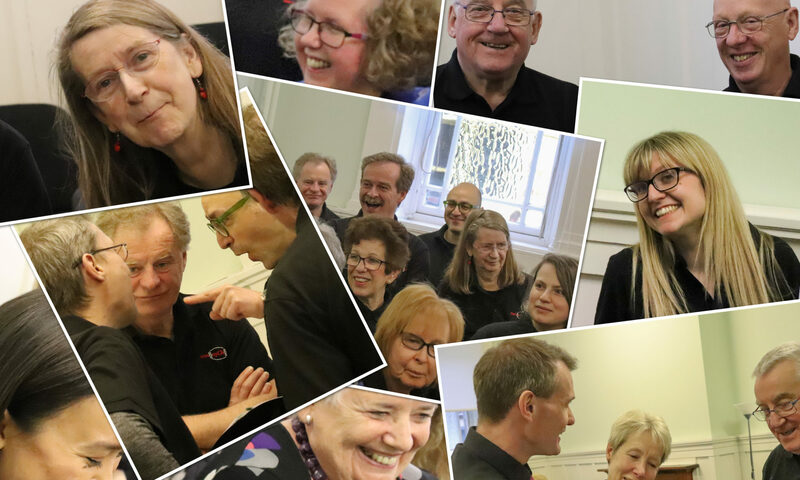 There is more information about the choir in the About page, and if you wish to make an enquiry about trying us out, joining the choir, or asking us to sing at an event, the contact details are in the Contact Us page. Check our What’s on page for details of upcoming performances.